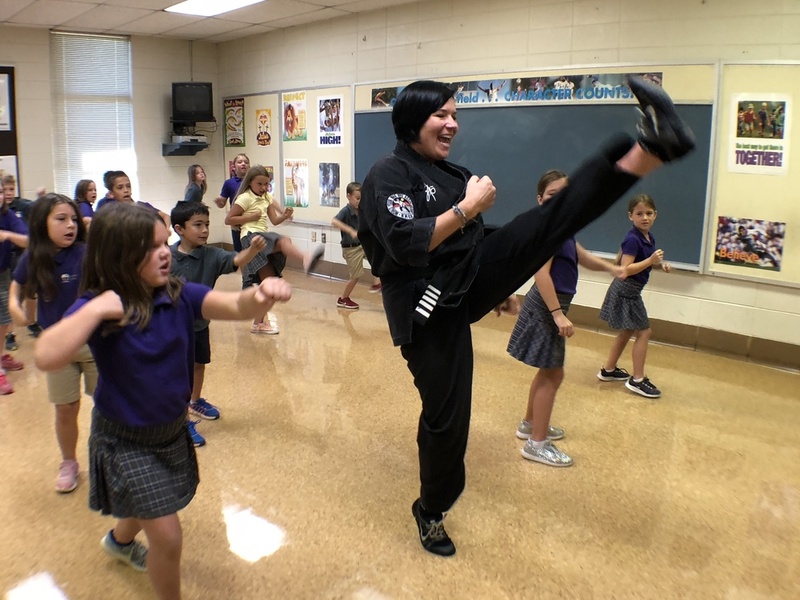 Ms. Shana Mullaney, a personal trainer and taekwondo instructor shows 2nd graders basic kickboxing moves during one of four "Mindful Minute Clubs" that met for the first time September 20 at St. Joseph Elementary School. The idea came from 1st grade teacher Hannah Yrle, who received a grant from the Conway Regional Women's Council to implement special health and fitness programs into the school. The clubs will meet once a month for 30-minutes each and will give children a taste of different types of exercise. Besides the kickboxing, aerobics, dance, and yoga were also demonstrated.